Did you know that Argentinosaurus was as heavy as a herd of elephants? That Mosasaurus was three times the length of a great white shark? That Microraptor was the size of a pigeon but with four wings? This magnificent book imagines dinosaurs as they might well have been, based on recent findings— feathered, finned, and full of color. 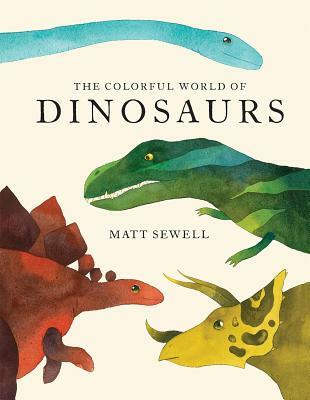 Gorgeous watercolors accompany surprising, little-known, and fun-to-tell facts about dinosaur behavior, habits, and appearance, bringing these prehistoric creatures to life in a new way. This fascinating book will delight dinosaur fans, young and old. Matt Sewell is a writer, artist, and illustrator whose books include Our Garden Birds, Our Woodland Birds, and A Charm of Goldfinches. He lives in Shrewsbury, England, where he is an avid ornithologist.